Hudson's Bay Company has named Harrods executive Marigay McKee as the next president of Saks Fifth Avenue, following the completion of its acquisition of the US department store operator. "Marigay McKee's experience as an effective world-class leader in the international luxury retail space is well-aligned with our vision for the Saks Fifth Avenue brand," said Richard Baker, governor and CEO of Hudson's Bay Company. "She has a proven track record of success at the highest level of luxury and I'm very excited for her to head up our Saks business at HBC." The news follows an announcement that Saks chairman and CEO Stephen Sadove, as well as president and chief merchant Ronald Frasch will leave he business following the sale. McKee joins Hudson's Bay Company with over 20 years of management and merchandise experience in the luxury retail sector. As chief merchant at UK department store Harrods, she has overseen the planning and implementation of the merchandising and creative strategies since 2011. She has been on the company's board of directors since 2005. Additionally, Hudson's Bay Company has created a new office of the chairman, consisting of Richard Baker, governor and CEO, and chief operating officer Donald Watros. The senior executives of Hudson's Bay Company's retail businesses, as well as other key holding company executives and the heads of certain shared service units will report to the office. "By creating a well-coordinated operating structure reporting to the office of the chairman, we can ensure that each business is managed in a consistent fashion aligned with HBC's corporate goals. Furthermore, this structure will provide each brand with the resources and investment it needs to best serve its customers and realize its growth potential, maximising the performance of the company overall." said Watros. "I'm pleased to welcome Marigay to HBC and am confident that she is well positioned to lead the Saks team, in keeping with our goals to operate and grow Saks as a separate business unit under the HBC umbrella." Hudson's Bay executive vice president Marc Metrick will become chief administrative officer reporting to the office of the chairman. 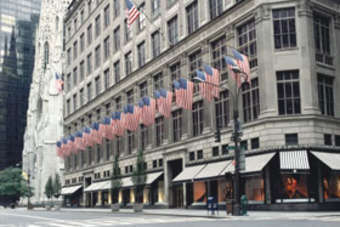 His main responsibility will be integrating the Saks business. Jennifer de Winter, currently EVP, director of stores for Saks will become EVP, chief merchandising officer of Saks Fifth Avenue, where she will report to McKee. Canadian department store retailer Hudson's Bay Company revealed in July that it is to buy US luxury retailer Saks in a US$2.9bn deal.